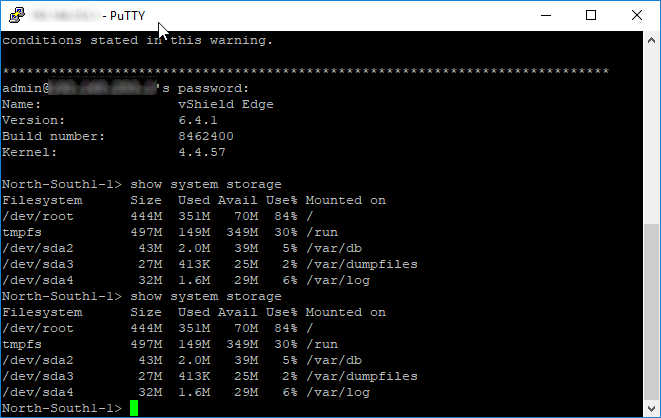 VMware reports an error where the tmpfs partition on NSX 6.3.6 and NSX 6.4.1 could run out of space. 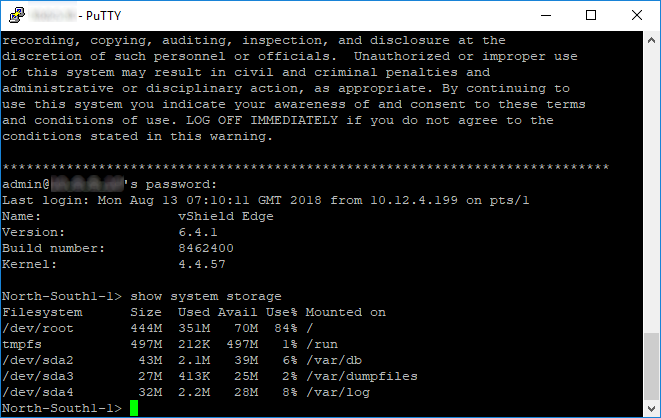 The file /run/vmware/vshield/cmdOut/ha.cid.Out grows up and fills the temporary file system completly. The issue only affects DLR’s or EDGEs configured in HA mode. The ha.cid.Out file is created after an HA event. It could take up to four weeks to fill up the space on tmpfs partiton. The error only affect configuration changes that would fail. The datapath is not impacted. The only workaround is to reboot the DLR or Edge VMs. Only NSX 6.3.6 and NSX 6.4.1 is affected by this error. There will be a fix in NSX 6.4.2, but no release date is known yet.